In the hunt for a new phone? Allow us to walk you through the most exciting smartphones left for 2018, a list that currently includes the likes of the iPhone 11, Samsung Galaxy Note 9, and Google Pixel 3. As we push into 2018 we’re starting to hear about replacements coming to replace popular devices from last year. Some of these rumors are vague, but many others are firming up as we push into the summer months. If you’re in the hunt for a new phone right now don’t expect the decision to come easy. 2017’s smartphone crop was excellent and includes household names like the iPhone X, Samsung Galaxy Note 8, and Google Pixel 2. You’ve also got to deal with the rumored devices from 2018 which, as of right now, include a bigger iPhone X model, a new Galaxy Note, and Google’s next flagship. Today we want to take you through the 2018 phones you should know about before you buy your next device. This guide outlines what we currently know about these phones and when you can expect them to land on shelves. We’re starting off with exciting phones that are either confirmed or heavily rumored. We expect more than five phones to launch in 2018, but these are the devices that’ve caught our eye and the devices that need to be on your radar as we press deeper into 2018. The Samsung Galaxy Note 8 is still a great phone, made even better by the Android Oreo upgrade and a cheaper price tag. That said, before you commit to one or the other, you’ll want to dig into Samsung Galaxy Note 9 rumors. Samsung confirmed the Galaxy Note 9 at MWC 2018 in February and Galaxy Note 9 rumors are starting to pickup as we move into the summer. We still don’t have an official list of features, but the potential changes we’ve heard about are extremely exciting. Rumors suggest Samsung is planning to deliver a brand new S Pen, a large high-resolution display, and a bigger battery for improved performance. The company is also testing Android 8.1 Oreo on the device behind the scenes. All signs point to a Galaxy Note 9 launch on August 9th at Samsung’s next major media event which means we only have a few weeks to go before the company reveals the device in detail. The Galaxy Note 9 looks like it’ll be a worthy successor for the Galaxy Note 8 and a solid alternative to big screen devices like the iPhone 8 Plus and iPhone X.
Samsung typically launches a new Galaxy S variant in the middle of the year and it looks like it’ll do the same in 2018. Samsung Galaxy S9 Active rumors are starting to pickup and it looks like the device could be a very solid Galaxy S9 alternative. According to various reports, the Galaxy S9 Active will feature 5.8-inch display, a Snapdragon 845 chip from Qualcomm, 4GB of RAM, 12MP rear camera, and 64GB of storage space. The display won’t come with the curved edges found on the regular Galaxy S9. You’ll also get a more rugged design and, if rumors pan out, a much larger battery. The Galaxy S9 has a 3,000 mAh battery while the Galaxy S9 Active could sport a 4,000 mAh battery. We expect the Galaxy S9 Active to hit major U.S. carriers and we expect it to do so in the near future. Keep an eye out for additional rumors in the days ahead. The iPhone X’s new form factor, which includes a new 5.8-inch screen size and Face ID in place of Touch ID and a home button, had some people worried, but Apple’s latest is one of the best phones on the market. 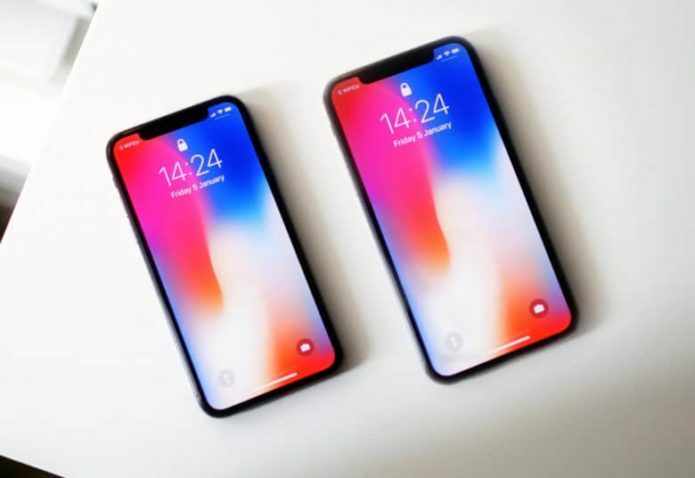 There’s no way Apple goes away from the iPhone X in 2018 and rumors are starting to hint at the device’s natural successor. Well-regarded Apple analyst Ming-Chi Kuo believes Apple’s working on a 5.8-inch successor that we’re currently calling iPhone 9, iPhone 11, and iPhone X 2. It doesn’t have an official name and probably won’t until September. The iPhone X is an awesome piece of technology, but it’s far from perfect and we expect the second-generation model to come with improvements to the camera, Face ID, processing power, and gestures. Gestures play a huge role on the iPhone X because it doesn’t have a home button. We expect iPhone 11 rumors to start firming up in late July and August. Apple’s reportedly cooking up two additional 2018 iPhone models and we’re exciting about one in particular. According to Kuo, the company’s working on a 6.1-inch LCD model with a metal design. The current iPhone X comes with a glass back. Kuo also believes Apple’s also developing a larger iPhone X Plus with a 6.5-inch display. The display will reportedly feature 480 to 500 PPI (Pixels-Per-Inch). This is probably music to the ears of those of you that own an iPhone Plus and want an even bigger display in the same form factor. The combination (huge edge-to-edge display, Face ID, powerful internals, iOS 12) has us feeling pretty excited as we get closer to September. Google’s Pixel 2 and Pixel 2 XL are, simply put, two of the best smartphones ever made. They are currently at the top of the Android food chain and we expect them to sit there until the very end of this year. Unless Google cans the Pixel program, we expect Google to launch new Pixel phones in 2018. In fact, rumors point to three possible Pixel 3 models. We don’t have much to go on other than codenames. The names “crosshatch,” “albacore” and “blueline” all emerged in 2017 and they suggest that Google’s already hard at work developing this year’s Pixel devices. Evidently, two of these devices will be considered “premium” while a third device will fit into the “high end” tier. If this pans out, we could see Google deliver a lineup that mirrors what Apple’s got going on with the iPhone 8, iPhone 8 Plus, and iPhone X. We don’t expect Pixel 3 rumors to firm up until late 2018, but these rumors have us pretty excited about the future of Google-branded phones.